The pronghorn is the second fastest land animal in the world. So, does wearing a pair of Danner Men’s Brown 45007 Pronghorn Waterproof Insulated Boots mean that you'll become super-fast? Absolutely not. But you'll be wearing a warm and comfortable pair of men's b ... (see full details) (see specifications) #DNN45007. The pronghorn is the second fastest land animal in the world. So, does wearing a pair of Danner Men’s Brown 45007 Pronghorn Waterproof Insulated Boots mean that you'll become super-fast? Absolutely not. But you'll be wearing a warm and comfortable pair of men's boots! These premium shoes are constructed from high-quality full-grain CamoHide leather. This breathable material is both durable and waterproof. The full-grain leather toes and heel caps add to their resilience. Inside the brown boots, 100% waterproof and breathable GORE-TEX lining will keep your feet cool and dry. With 400 grams of Thinsulate Ultra insulation, your feet will stay warm, too. There's moisture-resistant Thinsulate that offers you with warmth without the bulk. It’s 1.5 times the warmth of down. Lightweight and stable, the TERRA FORCE platforms in the insulated footwear offer a streamlined profile. New lasts and opened toe boxes create a wider platform to give you a better fit. The three-density open cell polyurethane Ortholite footbeds provide three layers of cushioning, so your feet will remain cozy all day. These flexible footbeds also absorb impacts for all-day wear. Providing superior arch support are the nylon shanks. Over rough and rugged terrain, the Danner Pronghorn outsoles offer you with a solid grip, as well as excellent traction. Hunting is all about taking it slow. But you don’t want to be too slow, or Danner Men’s Brown 45007 Pronghorn Insulated Waterproof Boots might be gone. Order yours from Working Person's Store today! Bought these at this time last year and they are very comfortable and warm. Cut wood all day long and never had an issue with soreness. The soles are very forgiving and the leather is quite supple. I would recommend these to anyone looking for a quality built boot at a reasonable price point. A+ in my book. 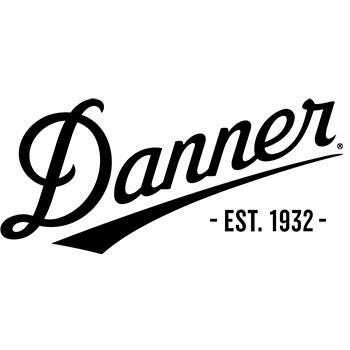 Danner Boots: Men's 45007 Waterproof Insulated Brown Pronghorn Work Boots is being added to your cart.